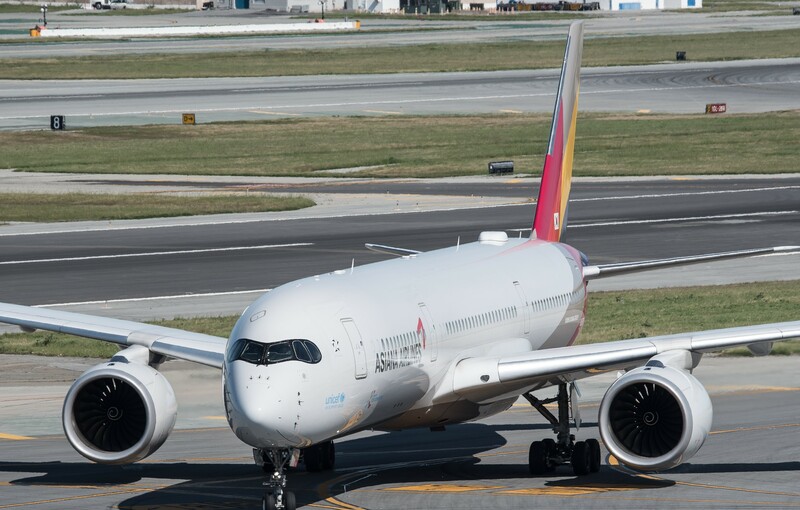 Asiana Airlines announced both in an Instagram post and on its website that it will be sending its Airbus A350-900XWB aircraft to New York in late October. ASIANA350, as the Seoul-based airline referred to its newest ultra-modern aircraft, will be replacing its largest aircraft, the Airbus A380, on the route and become JFK’s fourth airline to operate daily scheduled A350 service following LATAM Airlines, Qatar Airways and Iberia. The schedule for the flights to and from Seoul will remain largely the same through the aircraft change, save for a minor time change on both flights. The flight from Seoul to New York, OZ222, will depart Incheon International Airport at 9:50 a.m., instead of its usual 10:30 a.m., and arrive at 10:50 a.m., an hour ahead of its usual 11:50 a.m. with the A380 service. On the return, OZ221 will depart New York for Seoul at 1:00 p.m. instead of its usual 1:55 p.m. and arrive at 4:30 p.m. the next day instead of its usual 5:10 p.m. with the A380. In an interesting oddity, the flight to New York will be 20 minutes shorter on the A350, but the return will be 15 minutes longer than the flight on the A380. 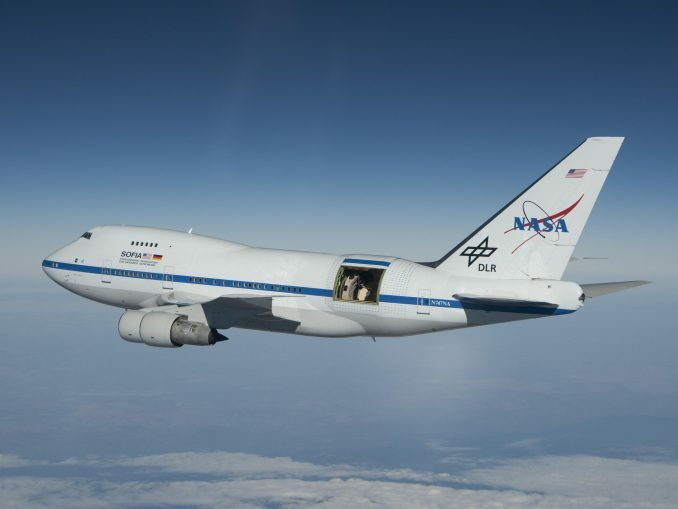 The flight times for OZ222 and OZ221 are 14 hours and 14 hours and 30-minutes, respectively. 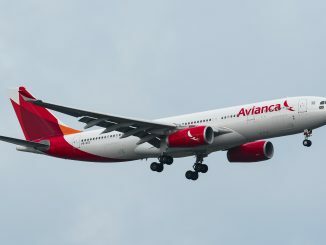 The announcement, however, was met with some confusion as the airline stated the aircraft’s start date on the route will be Oct. 30 but the airline’s booking system showed its start date as Oct. 28, the start of the winter 2019 season according to the International Air Transport Association (IATA). Nevertheless, JFK will see an Asiana A350 grace its runways before the month is out. The route, which already sees heavy competition from Korean Air with its Boeing 747-8i and Airbus A380, will see a significant decrease in capacity as Asiana drops down to an A350-900 XWB and the route loses its all-double decker aircraft status. Compared to the 495-seat A380s, Asiana’s A350s feature 311 seats, 184 seats less than its older sister. Asiana’s A350s feature a 3-class configuration comprised of business smartium, economy smartium (Asiana’s premium economy) and economy. 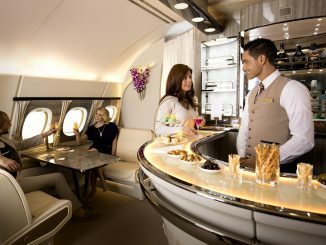 Ultra-premium passengers flying the route on Asiana will lose out as first class, found on the A380s, will not be offered on the A350s operating the route. However, this will be the debut of Asiana’s premium economy, dubbed economy smartium, on the route. Asiana’s economy smartium is a semi-premium economy class found exclusively on its A350s. However, the configuration of this hybrid class is the same as the rest of economy, 3-3-3, as well as the seat width, 18-inches. Unlike the premium economy found on many other international airlines, the seats are the same as regular economy, save for the 36-inches of pitch as regular economy seats feature 32-33 inches of pitch. What you will get above regular economy on the aircraft is extra legroom, an amenity kit and enhanced meal offerings, in addition to extra services on the ground such as business class lounge access at Incheon Airport and priority boarding. 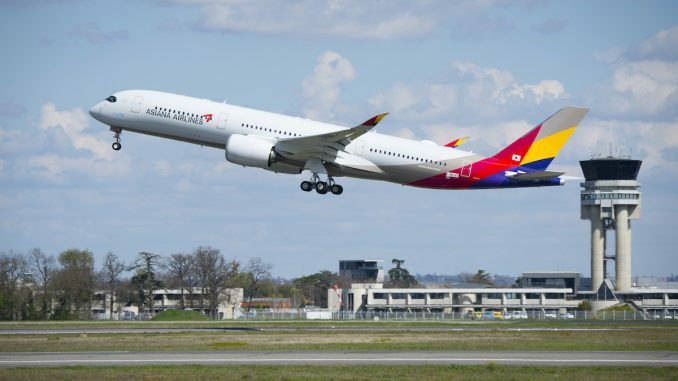 The A350s are also the first Asiana aircraft to offer WiFi, at $21.95 for unlimited use throughout the 14-hour long flights, and cabin roaming capabilities for cell phones. 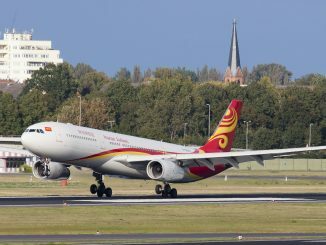 IATA’s change of season, Oct. 28, will see numerous other airlines also augment their JFK service and see one come to JFK for the first time. 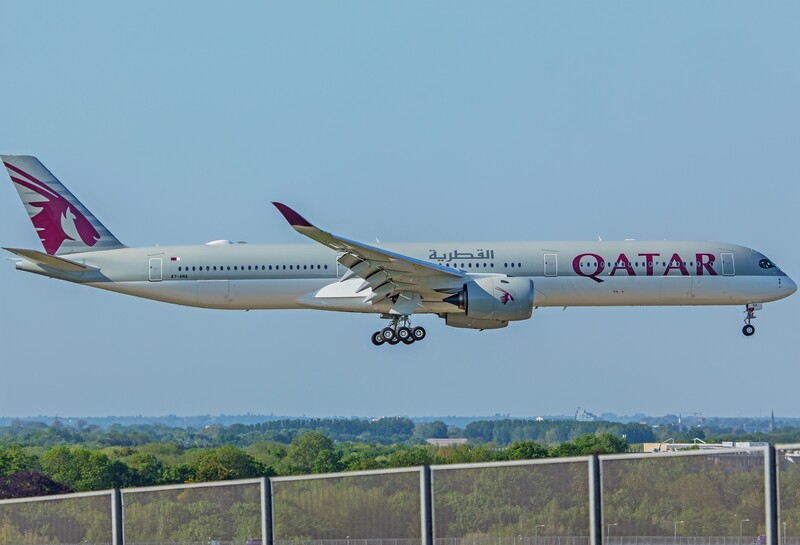 On the same day as Asiana’s switch to the A350, Qatar Airways will be bringing its flagship Airbus A350-1000XWB to New York to begin scheduled service, the second for the A350-1000 variant in the U.S. following the launch of Cathay Pacific Hong Kong to Washington flights on the aircraft. 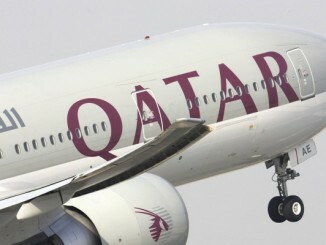 Currently, Qatar Airways serves JFK with two daily flights, one in the morning and another in the afternoon, both of which AirlineGeeks had the opportunity to test out earlier this year. The morning flight is already served by an A350, the A350-900 XWB, while the afternoon flight is served by the Boeing 777-300ER and will be replaced by the Airbus A350-1000XWB. The aircraft has made several visits to New York in advance of the official launch but will see permanent placement on Oct. 28, making New York an all-A350 destination for Qatar. 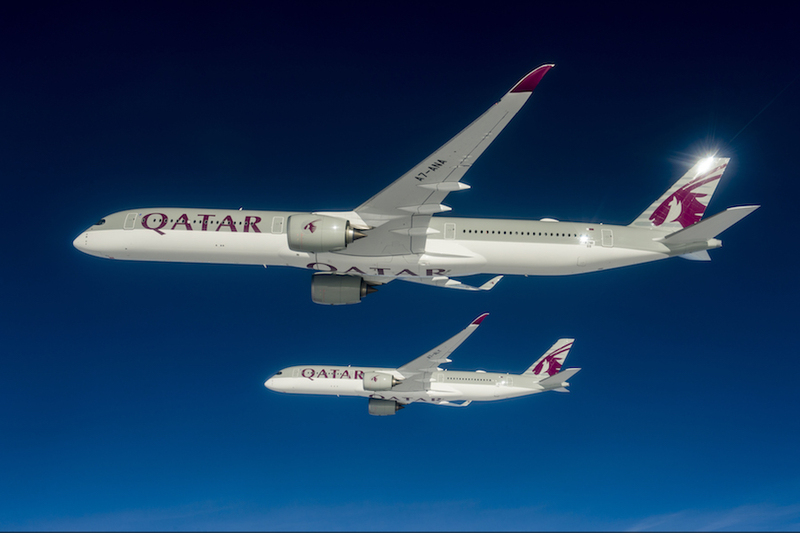 Passengers accustomed to the later flight to Doha on the Boeing 777-300ER will notice a difference on the A350-1000 including quieter and larger cabins, ambient mood lighting and exterior cameras to see what’s ahead of and below you via the Oryx in-flight entertainment system. The capacity on the route will also be slightly reduced as the A350-1000 only has 327 seats to the 777-300ER’s 360. Premium passengers, however, can rejoice as the iconic QSuites will remain as all A350-1000s feature the product, despite a two seat reduction on the new aircraft. The QSuites features one-of-a-kind business class amenities such as an enclosed suite, forward and rear-facing seats, a double bed offering in center aisle suites and the capability for a 4-suite conference room. The day after Qatar and Asiana send their newest A350s to New York, Philippine Airlines will also be swapping out its Boeing 777-300ER for an A350, sending its new Airbus A350-900XWBs to JFK to inaugurate nonstop service between Manilla and New York. 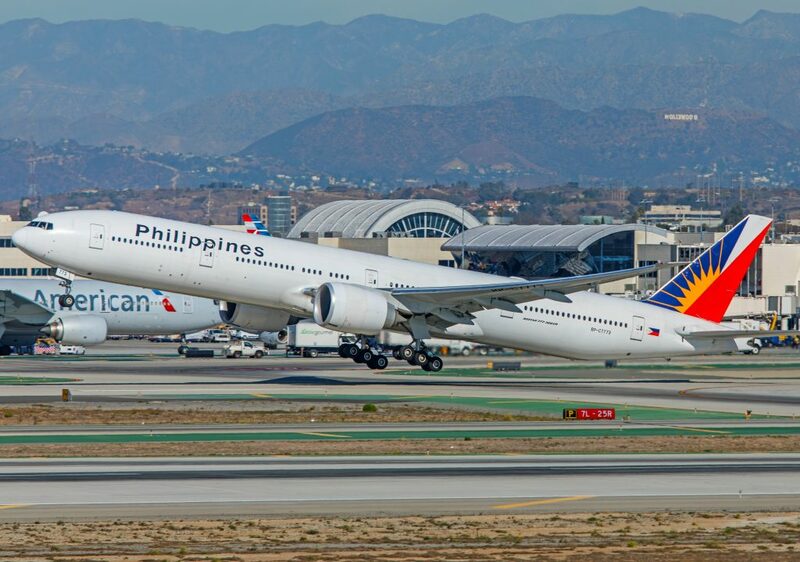 The long-awaited nonstop link between the Philippines and New York will replace the currently operated one-stop service through Vancouver on the Boeing 777-300ER. 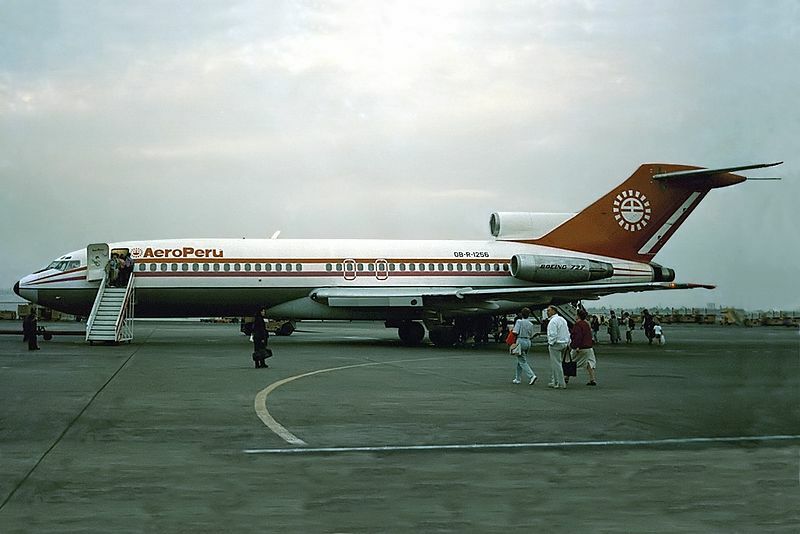 The outbound flight to New York, PR126, departs Manilla at 8:00 p.m. and arrives at JFK shortly before midnight at 11:15 p.m. following a 15 hour and 15-minute flight. The return to Manilla, PR127, departs New York at 1:45 a.m. the following day before flying a 16 hour and 30-minute flight to arrive in Manilla the next day at 6:15 a.m.
Philippine Airlines’ A350-900 XWB features 295 seats in a 3-class configuration comprised of business, economy and premium economy. 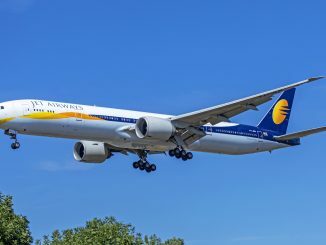 The route will suffer a loss of capacity as the A350-900 has 75 seats less than the 370-seat Boeing 777-300ER. Business class will feature a 1-2-1 configuration, common on new A350s, while the 3-row premium economy cabin will feature a 2-3-2 configuration and seats with 33-inches of pitch and 19-inches of width. Economy will feature a standard 3-3-3 configuration and seats with 30-31 inches of pitch and 17 inches of width. 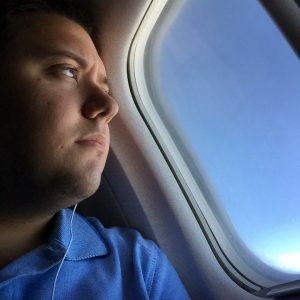 Despite all seats featuring personal in-flight entertainment, economy seats do not come with power outlets, as only seats in business and premium economy do, but do feature USB ports. However, Philippine Airlines’ spotlight on Oct. 29 will be partially occupied by a newcomer to JFK, Kenya Airways. The East African airline will be making its debut flight from Nairobi, Kenya to New York on the same day using its new Boeing 787-8 Dreamliner. New York is Kenya Airways first U.S. destination and will be the first nonstop link between New York and East Africa. 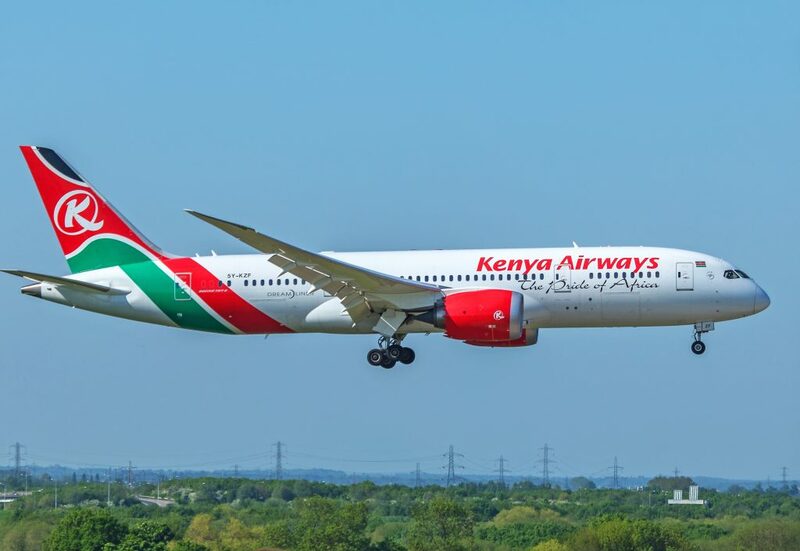 The inaugural flight from Nairobi to New York, KQ2, will depart Jomo Kenyatta International Airport at 10:55 p.m. and arrive in New York the following morning at 6:55 a.m. following the long haul 15-hour flight. The return, KQ3, departs New York at 1:00 p.m. for a 14-hour and 30-minute flight back to Nairobi and arrives at 10:30 a.m. the next day. Kenya Airways’ Boeing 787-8 Dreamliners have 234 seats in a two-class configuration featuring business and economy. The aircraft’s business class cabin is a modest 5 rows in a 2-2-2 configuration with lie-flat seats while economy class is in the standard 3-3-3 configuration with 32.2-inches of pitch and 18.5 inches of width. Additionally, each seat comes equipped with personal in-flight entertainment and power outlets. To recap, in the span of two days, New York’s John F. Kennedy Airport will be receiving three new Airbus A350s, both variants, from three existing airlines including Qatar Airways, Philippine Airlines and Asiana Airlines, as well as gaining a new route and Boeing 787-8 Dreamliner from Kenya Airways on the Nairobi-New York. However, the airport will be losing a daily Airbus A380 flight when the Asiana transition occurs. The loss of Asiana’s A380 brings JFK’s A380 operator total down to six airlines: Lufthansa, Etihad, Singapore, Emirates, Korean Air and Air France, although Lufthansa and Air France only send their A380s when demand requires. 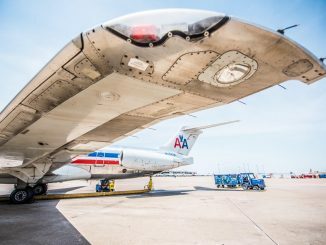 As airlines swap out aging aircraft for new ultra-moderns and new airlines start service to New York, its safe to say that JFK Airport, its passengers and its plane spotters are going to have a great end to October.